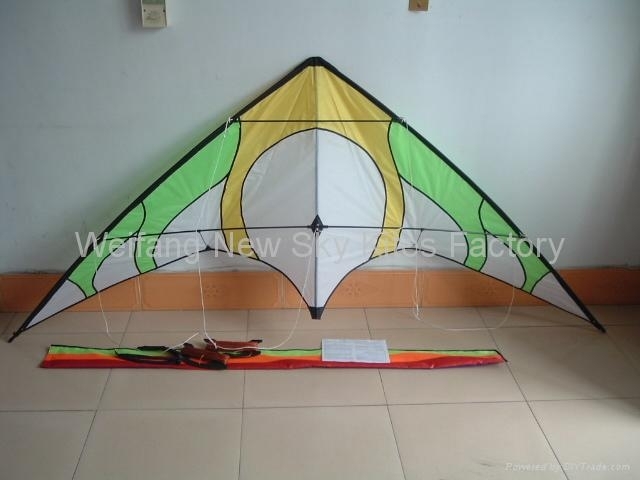 Our stunt kite is good quality. 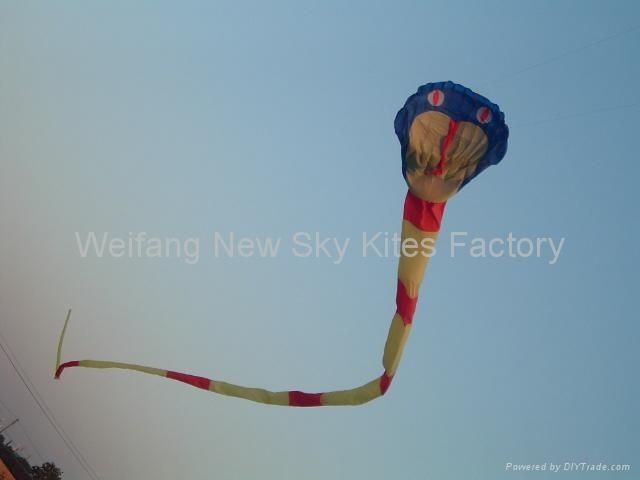 If you control it well, it can whirl many rounds and perform in the sky. 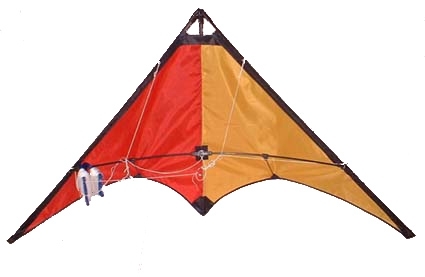 We supply line holders with line for double-line kites. 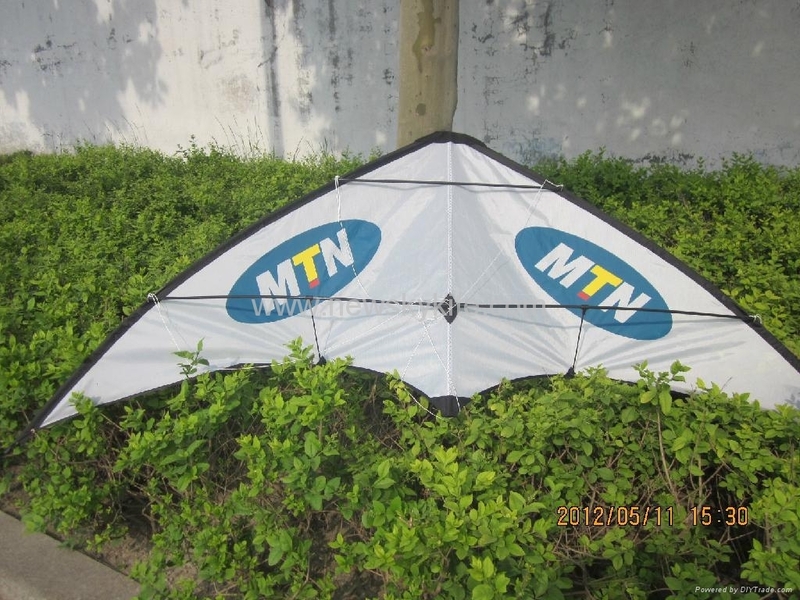 That is good for kite player. 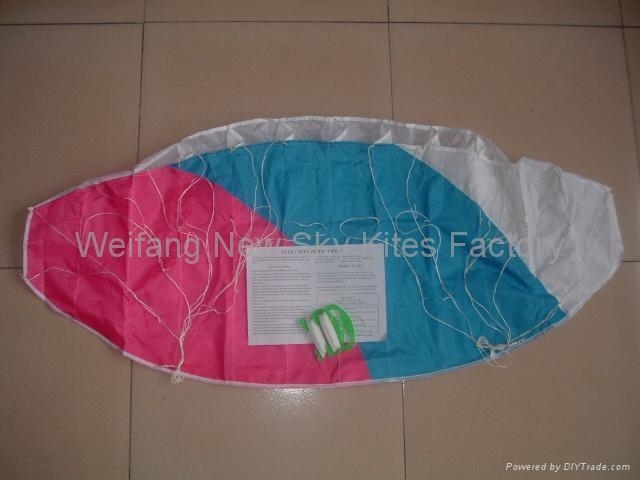 Measure two lengths of strong kite string, each approximately 25M long. 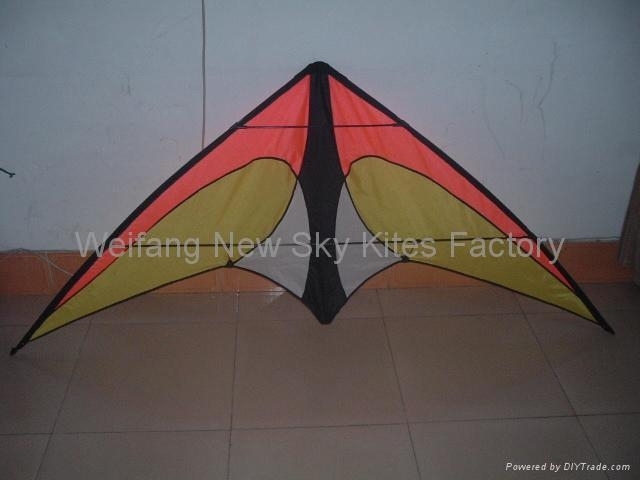 For a beginner, kite string any shorter will require more expert handling as turns and speed will be increased. 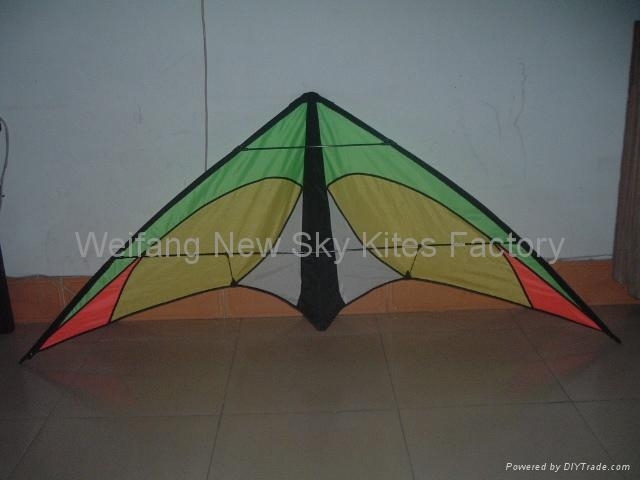 If you make the string longer, the stunt kite will not respond as well to your movements. Make sure the two lengths of kite string are exactly the same length. The ends can be attached to cord holders or handle straps. 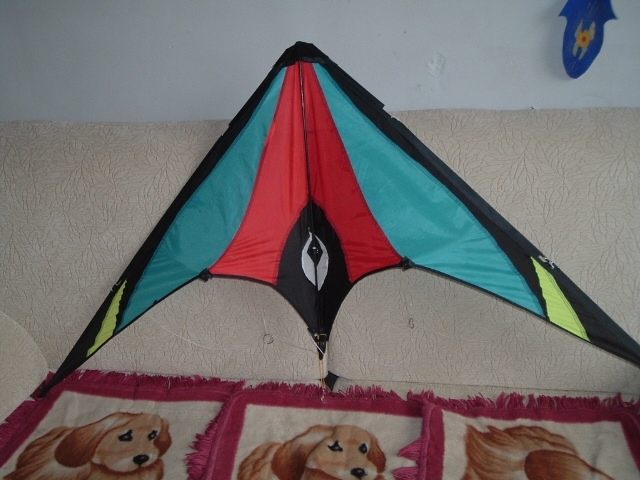 The other ends should be attached to the kite. 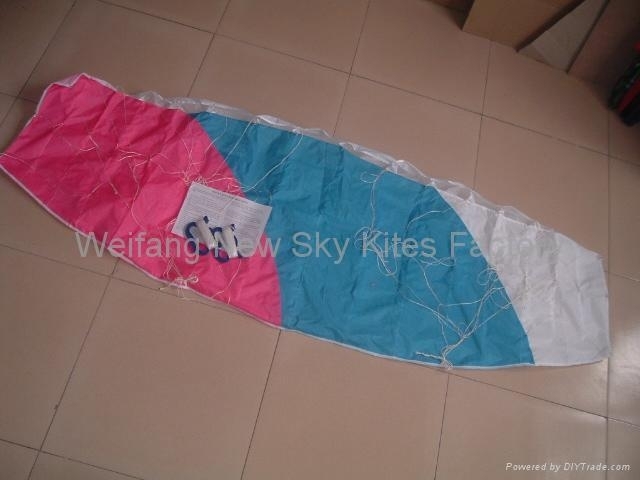 Instruct your friend to walk to the end of the kite strings with the kite. The wind should be blowing on the underside of the kite. Hold the kite gently with the point facing upwards. Keep equal tension on the kite strings. 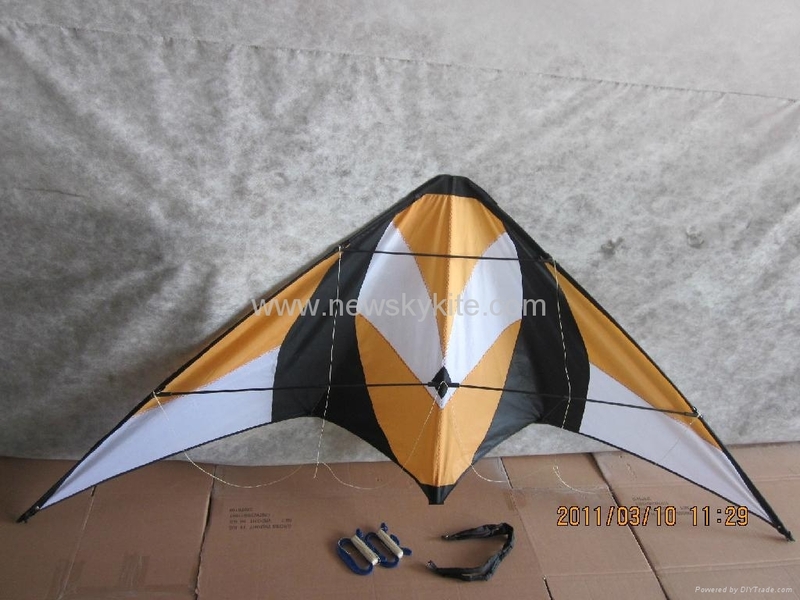 Perform safety checks before launching the stunt kite. Be sure there are no power lines or trees in the vicinity. 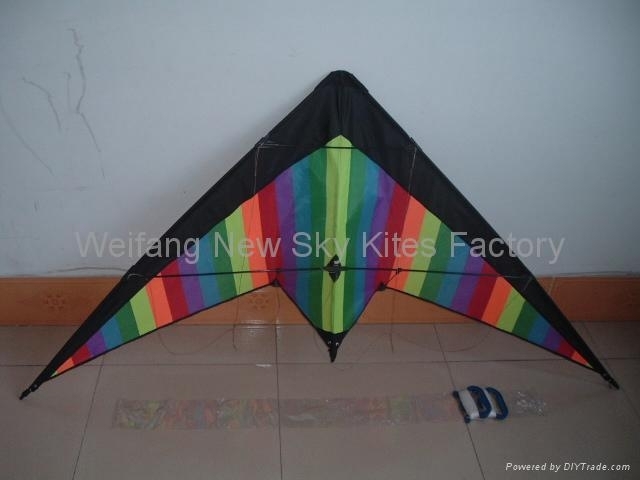 Never launch a stunt kite if there are people or animals in the flight path. 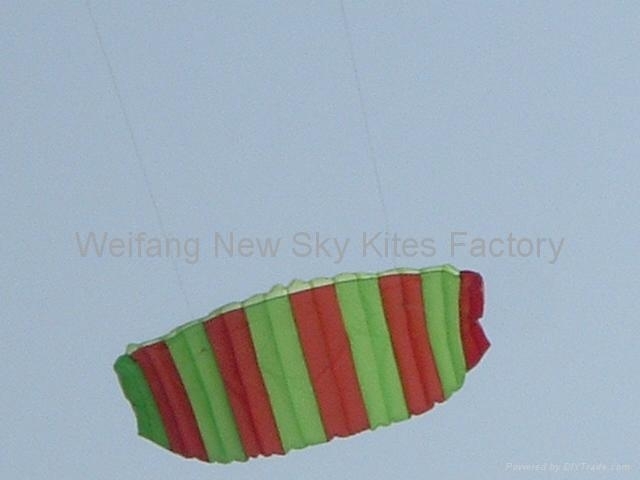 Stunt kite flying is fast and powerful and can cause serious injury if someone is struck with the kite or the kite strings hit them. Toss the kite up into the air gently. 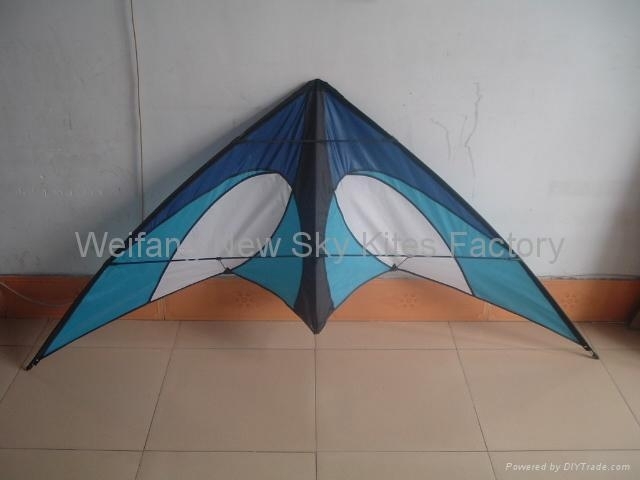 With the appropriate amount of wind, the stunt kite should rapidly shoot skyward. 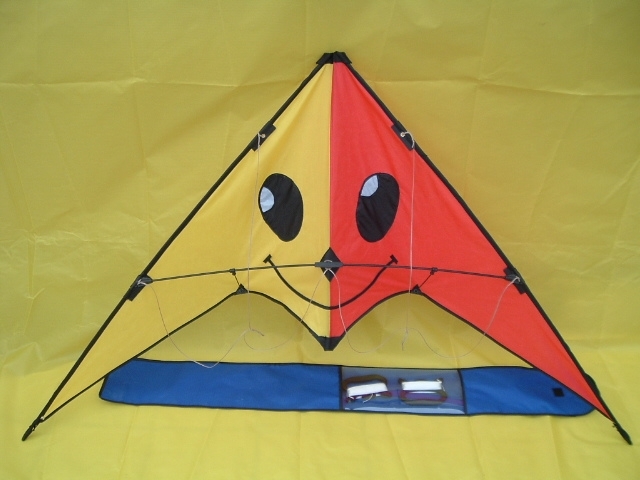 You do not have to throw the kite hard or run with it. Hold the two kite string handles even with each other to let the kite fly in a straight line upward. Wait until your kite-launching friend walks back to you and stands behind you before attempting any stunts. Pull the left kite string toward you slightly to turn the kite to the left. Pull the right handle toward you to turn right. 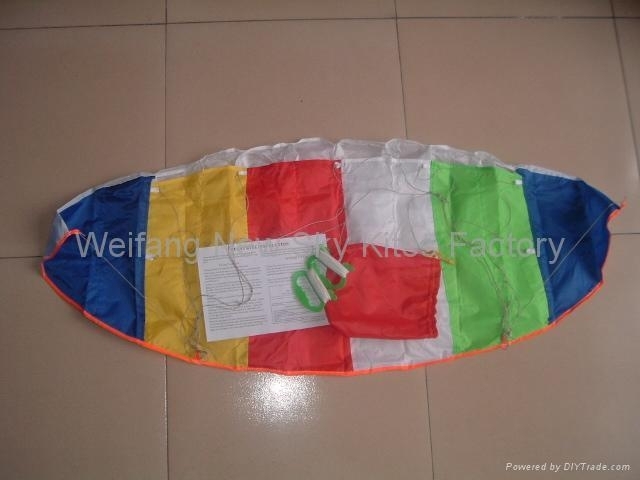 Pull harder on either one and the kite will do a circular loop. 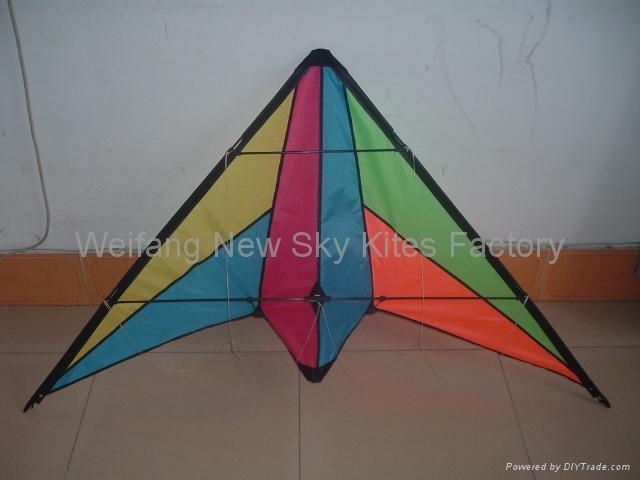 Put the handles even with each other to fly the kite in a straight line in any direction. Try loop-the-loops, figure eights, flying low to the ground horizontally, and other maneuvers. 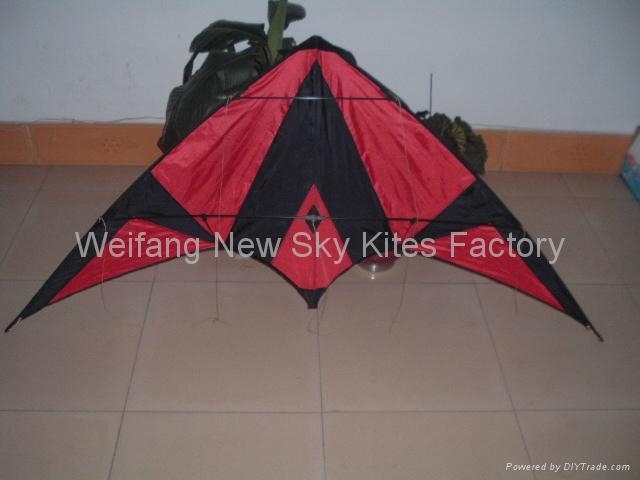 Land the stunt kite by flying it close to the ground continuously to one side. 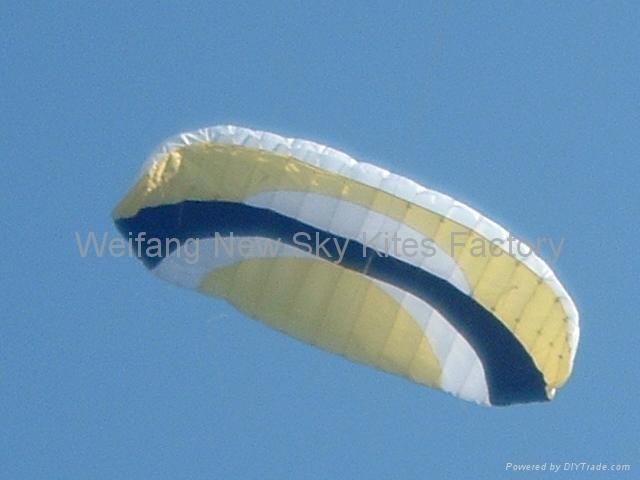 As the kite moves further to the side and out of the direct flow of wind, it loses speed. 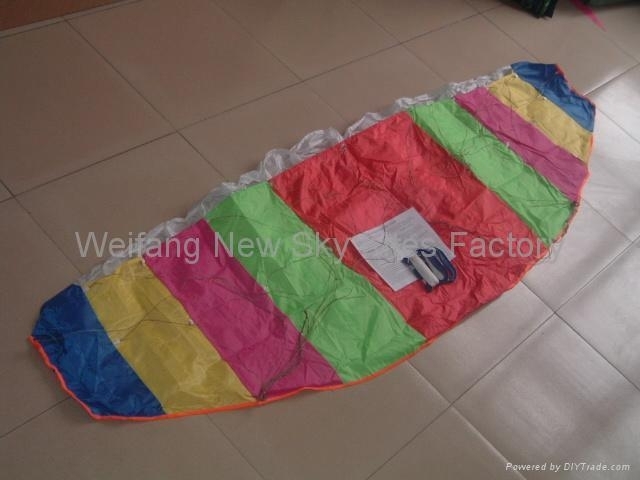 The kite will come to a rest on the ground without damage. You can then pack it away or launch it once more.